How about a 7 day Caribbean cruise? Wow! Picture it: Seven glorious days of not cooking or cleaning; not picking up after your spouse and kids; not doing laundry or going to the grocery store; not worrying about what to prepare for dinner; being waited on - continually; being entertained. Consider being treated nicely by the staff of 1,000 plus people; meeting new people; eating all you can - then some; probably trying your tongue at some Spanish; sunning by the pool; splashing in the clear blue water of the Caribbean Sea; and probably swimming with dolphins. That is what you can have with a 7 day cruise to the Caribbean! Now for the hard part: I believe that a 7 day Caribbean cruise is best suited for past cruisers. This is my humble opinion. "Why would you say that?" you may ask. Well, based on my family's experience, I am led to think this. Like everything else in life, this does not apply to all cruising families. However, for my family I believe that saving the 7 day Caribbean cruise for the second sailing ensured that we came to enjoy Caribbean cruises in particular and cruises in general. 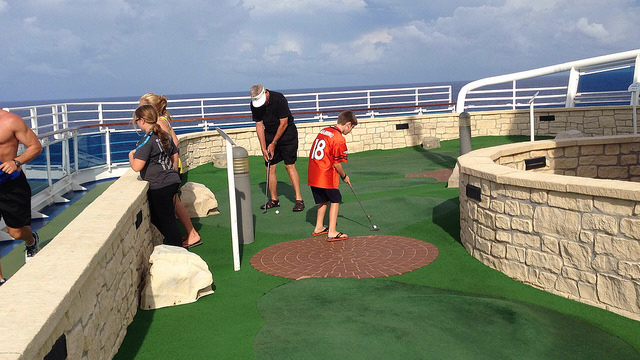 Now, family-friendly cruises to the Caribbean are my family's favorite all-inclusive vacations! 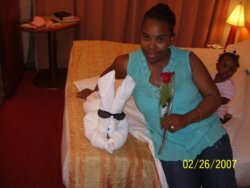 Our first cruise was a 5-day Western Caribbean cruise out of Tampa, Florida aboard Carnival Sensation. The cruise included three stops, Grand Cayman, Cayman Islands; Cozumel, Mexico; and Nassau, Bahamas. My family had a blast and vowed that from then on all cruises would be longer! Two years later we set sail on another cruise, this time a 7 day Caribbean cruise also to the Western Caribbean. Our ports of call then were Belize City, Belize; Costa Maya, Mexico; Cozumel, Mexico; and Nassau, Bahamas. Four ports of call! Yes, generally, your 7 day Caribbean cruise will include three or four and sometimes five ports of call. 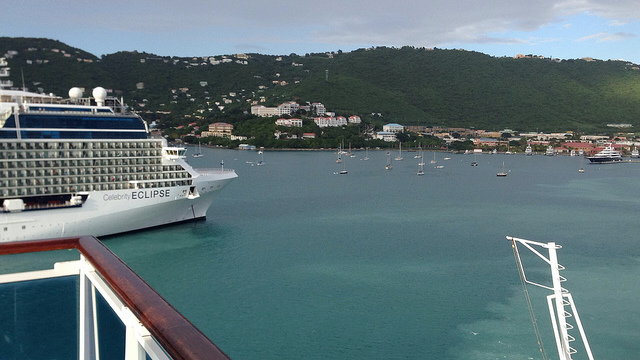 Here is what happened on our second cruise. While we enjoyed it, by day 6 we were ready to go home. How could that be? We do not have an answer. The ship was great - Carnival Glory - bigger than our first ship; the amenities were great; the food was delicious and varied; the ports of call turned out well except for Belize City which we thought needed a "repair job." 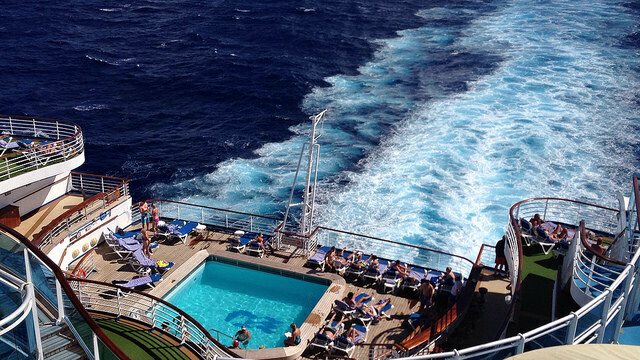 As it turned out, our next 7-day cruise was exceptional! This led me to believe that the length of the cruise, for us newbies, had something to do with our home-sickness. However, by cruise number three (3), a 7-day Eastern Caribbean cruise aboard Norwegian Dawn, we were ready! After our second inclusive 7-day cruise, my family sailed with friends on a 4-day Bahamas cruise and truly missed the 7 day Caribbean cruise experience. So, if you are cruising for the first time, consider a shorter cruise than 7 days to the Caribbean. However, if you are sailing with a group or believe that you will be fine, go ahead and book your 7 day Caribbean cruise. If you are wondering which cruise lines offer 7-day cruises to the Caribbean or the Bahamas, you will be happy to know that all of your favorite cruise lines do. Whether you want to sail with Disney, Carnival, Celebrity, Costa, Holland America, Norwegian, Princess or Royal Caribbean, you will find a 7-day itinerary going your way. Think of any of the top U.S. cruise ports and you will find a 7-day sailing leaving from it. 7-day cruises sail from New York, Cape Liberty, Baltimore, Charleston, Port Canaveral, Ft. Lauderdale, Miami, Tampa, New Orleans, Galveston and Houston. 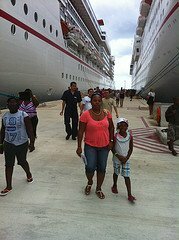 Booking a 7-day cruise ship vacation to the Caribbean or Bahamas is easy. Finally, you may call the cruise line directly to book your cruise. Wow! Your family has so many inclusive 7-day Caribbean cruises from which to choose. I hope that you live near one of the U.S. home-ports and can drive on over and get your "ride" to the Caribbean. If not, you will need to book a flight to get to your desired port. 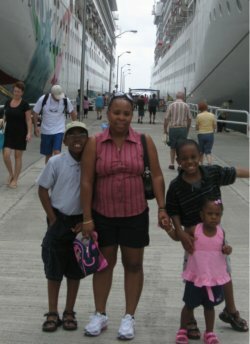 Whatever you do, I am confident that you will have a great inclusive family Caribbean cruise. Be safe and have lots of fun! When you get back, please look us up and share your 7 day Caribbean cruise experience on our webpage: Caribbean Cruise Destinations.